You are looking at the new iPhone 6—at least according to Sonny Dickson, whose Apple leaks have always been accurate. 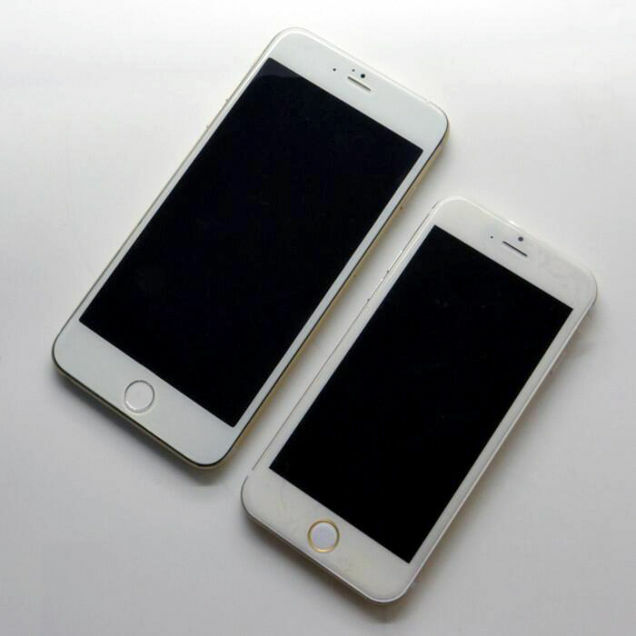 If this is true, his photo confirms the rumors that claimed that Apple would start producing 4.7-inch and 5.5-inch iPhone 6 models starting in May. The 5.5-inch model may look ridiculous—as every other large phone in the market—but Dickson has been a reliable source of Apple iPhone rumors for a while now. Of course, he can be wrong this time—but these images fit with all the other gossip and the new iPhone 6 cases already being sold in the Chinese market.